With some disappointing results this past season, I felt like it was time to re-evaluate. So at the end of the Denver Marathon, I stopped running. I did sprinkle in a few occasional dog jogs around home or on the local hills. But nothing serious. The intent of this was two-fold. 1) Rest. My legs hurt all the time. Every day. So let that heal right for the first time in a long time. 2) Re-evaluate. See how life feels without running for a bit. The results? I got fat. Well, relatively. The pounds just piled up quickly. I didn’t go off a cliff with my diet. I actually was eating better — like salads every day for lunch. But no activity does that to you. I also suspect my body was taking its chance to hold onto what it could for later. I got moody. Well, moodier. Life was darker. I had great plans during this hiatus to do some other type of physical activity regularly. Swimming was the top of the list. I swam competitively through high school and still enjoy the pool. A little. I never went. Biking? Yeah, its cold out right now and I am not in a winter mindset yet. So what’s left? Go to the gym? OK. Wait, I did that last year and I didn’t enjoy that. Never knew what to do. Felt like a lot of standing around. There was one more thing that perked my interest. CrossFit. 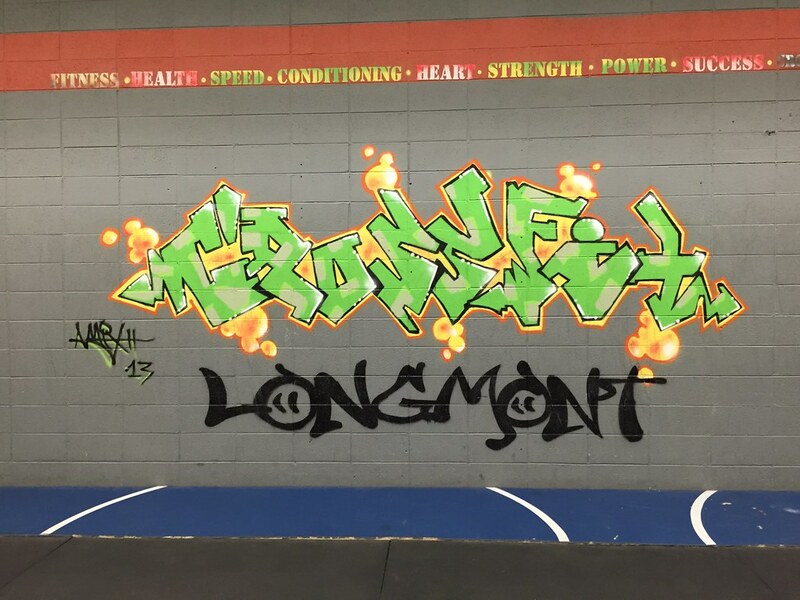 So I walked into the CrossFit Longmont gym and they invited me to join in a Workout of the Day (WOD). Coming off of no activity in the last 2 months, I probably added to the challenge. But for an hour, we did things I have never done before. I learned a ton. I was sore in places that felt familiar but never used quite that way. I signed a contract. If you aren’t familiar, CrossFit is a strength and conditioning program with the aim of improving, among other things, cardiovascular/respiratory endurance, stamina, strength, power, speed, coordination, agility, balance, and accuracy. My classes are filled with many different types of people in various states of fitness. Each activity is “scaled” so that everybody can complete the same general exercise together but with varied degrees of difficulty. The classes at my gym start with a warm-up like a quick jog. Then we do a coach’s choice exercise which is always something different, like some flexibility movements. Then we move on to a strength component. This has been squats, dead lifts, etc. Then the core of the class is the WOD. These always vary. My last few classes have been some set of 3 different exercises done in repetition. As many as you can in 15 minutes. I keep moving that whole duration but it feels like running really hard. Its familiar. I just don’t have a lot of the strength to do many of the movements with “interesting” weight just yet. That will come. Yesterday, I took Kim to the class with me to show her what it was about. It was kind of a different setup but was a cool class. We did 12 different exercises in progression but in the 12 Days of Christmas (like the song!) format. So you did 1 of #1. Then 2 of #2, 1 of #1. Then 3 of #3, 2 of #2, 1 of #1. You get it. Here is the workout. Prior to this class, I probably couldn’t have told you what half of this stuff is. Those last few rounds were tough. Breathing hard. Muscles shaking. Fatigued. Instantly felt better the minute it was done. And it didn’t take 24 hours of running. I delayed writing this post to see if this was a thing I was going to enjoy and stick with. So I guess the fact that I am writing shows that I am committed now. I am still committed to running. But I really think CrossFit is going to make me a better runner. While running has made me fit, I might argue I am weaker than ever. Muscles are strong in the legs but heavily imbalanced everywhere else in comparison. And the legs are so tight and jammed up and stressed that its just not good. These classes force you to go anaerobic which is something I seem to actively try and prevent in running. I also gave up on passive stretching. But active stretching — like going down deep in a weighted squat — that’s the ticket. So I will report back in a few months on how its going. Starting slow. At 3-4 days a week right now. Low weight. Getting the techniques down and not hurting myself. On the racing front, I am not in the Leadville lottery if you didn’t guess that. I, like others, are sitting this one out. However, I plan to be there in a supportive role for those that have supported me in the past. I decided that I will run Steamboat in 2015 to get back in the Hardrock lottery. That seems like the best option given all factors for me. Time for the holidays now. But with a new gym, a new race, a new watch, and a new year, I am ready to get back at it soon.